Sidescrolling platforming games are finding a weird place in today’s gaming market. We’ve got throwbacks, we’ve got re-releases, and we’ve got games incorporating platforming into their stealth, action and puzzle gameplay. But what about just straight up jumping on stuff? Cloudberry Kingdom has you covered for all things jump-tastic. Like many a platforming game, Pwnee Games’ Cloudberry Kingdom is inspired by Super Mario games of old. Jordan Fisher, founder and lead developer at Pwnee Games and lover of all things mathematical, wanted to create an algorithm to play infinite Mario levels. However, since he obviously wouldn’t be allowed to release a game with Mario-based content, they created Bob. More on the origins and background of the game in our interview with them embedded above. Cloudberry Kingdom has just about everything you could want in a platforming game without compromising actual platforming elements; they’re not just the star of the show, they ARE the show. There’s a story mode where you play as Bob, a washed-up hero whose princess he’s saved a million times is no longer into him, but the main attraction here is The Arcade. Where the story has over two hundred levels of hand-crafted platforming challenges, The Arcade is an endless jumpathon for you to enjoy. My initial demo time was spent with a friend of mine, and like co-op in many platforming games, it became sort of a contest to see who could survive to the end. The first ten or so levels in the Escalation mode, where the levels get increasingly difficult over time, were pretty breezy and within two minutes or so I had adapted to the controls. The game eventually kicked our butts around level 30 or so, but I immediately wanted to go at it again. Then I saw “bouncy” mode. The mode preview showed Bob on a horse with a spring attached to its underbelly, so naturally I had to play that next. This mode was way harder than the classic mode as, like you’d expect, Bob refused to stop bouncing. However, you are able to modulate your jump height so it retains the elements of finesse the game is built on. In fact, the whole game is a constant balancing act of finesse and brash courage. Some levels you literally just have to nail the jumps at full speed, and some are more timing and precision based. The constant ebb and flow of the design keeps you engaged and challenged. There’s a point in the game’s difficulty curve which I’ve been told of but not experienced where there’s fire and death all around you, like a bullet hell game turned platformer. Almost the whole of Cloudberry Kingdom was on the demo at E3, and while I didn’t get to try every mode, the gist of it speaks very loudly: endless platforming fun. There’s a lot to enjoy for anyone with any degree of platforming experience, and you’ll naturally get better as you play and fail and improve. 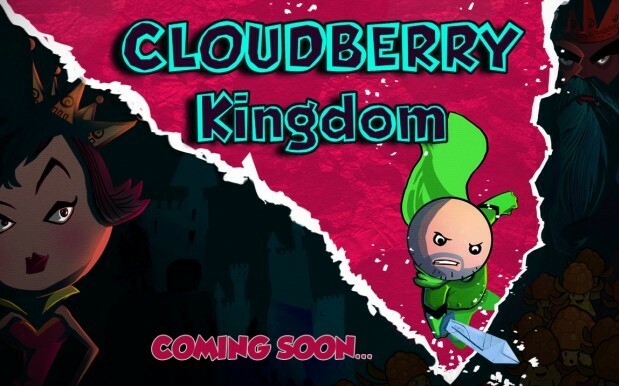 Cloudberry Kingdom will be available on PSN, XBLA, Wii U eShop and Steam sometime this summer.